Natural Resources Minister Jim Carr is dispelling the idea that all Indigenous groups in Canada are united against pipelines after a group of First Nations in Canada and the United States signed a treaty opposing new projects that carry Alberta oilsands. 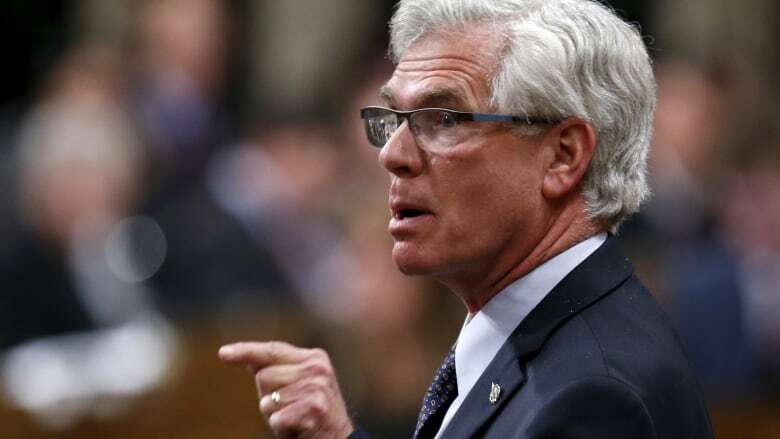 Natural Resources Minister Jim Carr is dispelling the idea that all Indigenous groups in Canada are united against pipelines after a group of First Nations in Canada and the United States signed a treaty opposing new projects to carry diluted bitumen from the Alberta oilsands. "If you put the mayors of major cities in British Columbia and Alberta in a room you'd probably not get consensus and you'd certainly not get unity. If you put the premiers in a room talking about these energy projects there would be a difference of opinion. So too, no doubt, there will be a difference of opinion in Indigenous communities," Jim Carr said in an interview with Chris Hall on The House. On Thursday, 50 North America First Nations signed the Treaty Alliance Against Tar Sands Expansion to oppose building more pipelines from the oilsands. The targets include files Carr's offices is reviewing, including projects proposed by Kinder Morgan Inc., TransCanada Corp. and Enbridge Inc.
Carr says there are other Indigenous communities "who have spotted opportunity" in natural resource development. "We respect that Indigenous people want to make sure that the sacred relationship with the land, the air and the water is respected. By the way, that should not be a goal only of Indigenous communities. That should be the goal of all Canadians," he said. Four of the five Tsimshian First Nations, with whom the government has a constitutional obligation to consult on resource projects, have given their consent to TransCanada's Pacific Northwest liquid natural gas project. Carr says it's the job of the Canadian government to make sure all Canadians have a chance to weigh in on major pipeline projects. "It goes back to the very balance of the government's policy that the environment and the economy go hand in hand," he said. That's a challenge also facing Alberta Premier Rachel Notley, whose province stands to gain economically if Trans Mountain, Northern Gateway and the Energy East pipeline projects are approved. Notley says just because some groups strongly oppose pipelines doesn't mean she'll stop trying to sell their merits. "Those players in our political system who suggest that, 'Oh well you introduced your climate change leadership plan at this point and everybody hasn't completely changed their mind on this matter the next day,' are, I think, playing politics and not understanding the way these kinds of conversations roll out in a country as complicated and democratic as ours," she told The House.